» Zucchini Noodles Zucchini Noodles | Gluten Free Daily | Weight loss. Wellness. Fitness. 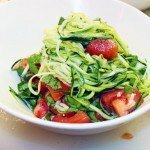 With hand spiralizer, spiralize zucchini until it looks like noodles. If you don't have a spiralizer, you can use a potato peeler. Chopped your fresh basil and tomatoes. Cut a lemon wedge. 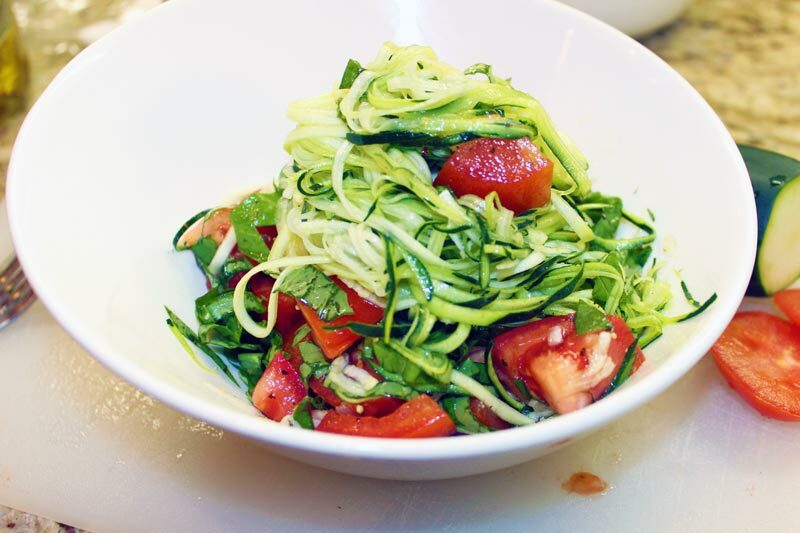 Take your zoodles off the paper, and toss them in a bowl with lemon juice, olive oil, basil, and tomatoes. Finish with salt and pepper.